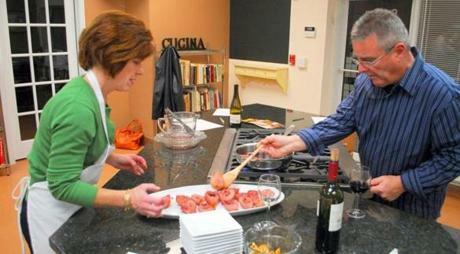 Greg Sullivan stirred risotto while Courtney Palek looked on at Good Life Kitchen couples' cooking class. 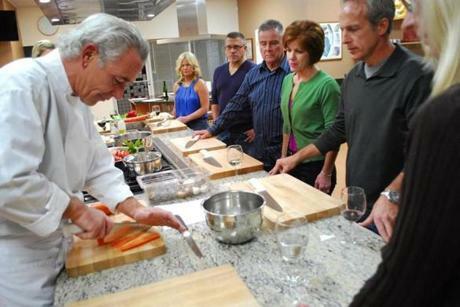 Chef Bernard Kinsella demonstrated a chopping technique. Kinsella ran two schools in Atlanta before opening his Norwell operation. 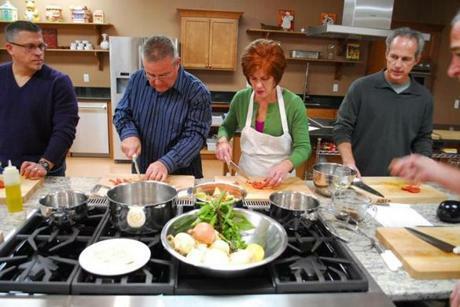 From left: Tony Scalo, Kevin and Valerie Riley, and Greg Keefe took a class. 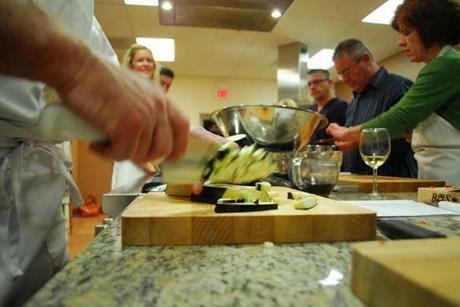 The couples' class at Good Life Kitchen. 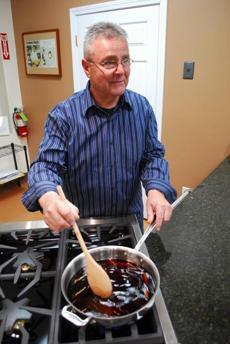 Kevin Riley of Quincy stirred wine-poached pears. 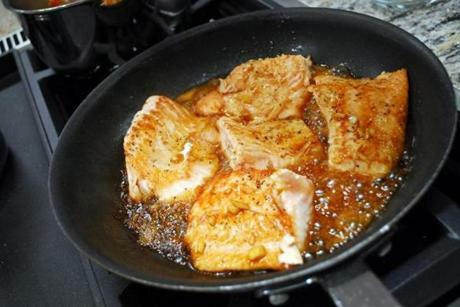 Soy and honey glazed salmon. Valerie Riley helped her husband, Kevin Riley, make red wine-poached pears for dessert.